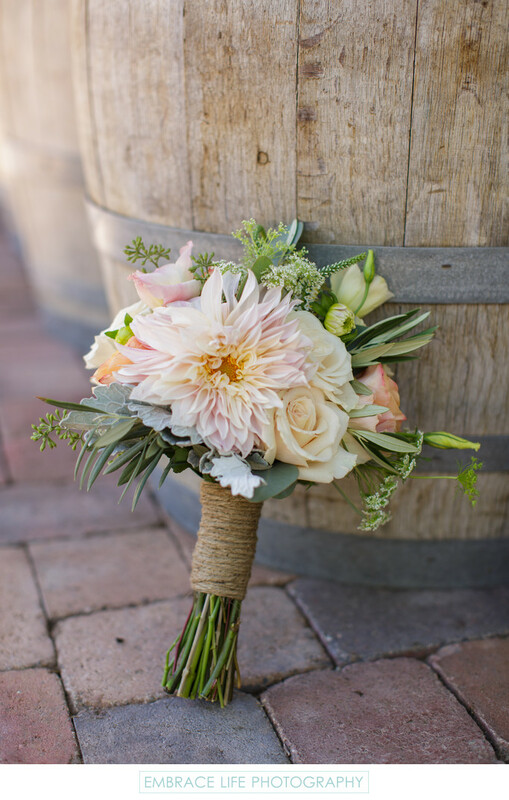 A beautiful, rustic flower arrangement by Unique Floral Designs rests against one of the barrels that forms the base of one of the bars at Walnut Grove, an outdoor wedding venue in Ventura County. For a wedding in a rustic farm setting, this bouquet wrapped in twine was just perfect. Location: 3370 Sunset Valley Rd., Moorpark, CA 93021.